Back pain isn’t always limited to your back area. If it’s a damaged disc or spinal deformity causing your discomfort, you may be experiencing radiating nerve pain elsewhere. In some cases, the pain may extend to your legs and feet and become severe enough to cause you to limp or have similar difficulties walking. 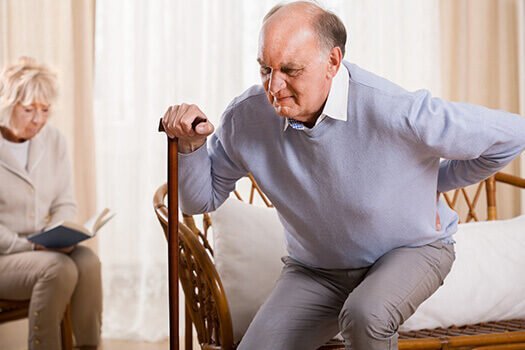 When it becomes a chronic problem, there are several treatment options worth considering to restore your full mobility. Beverly Hills back surgeons discuss a few of these options. Limping that’s a response to tingling sensations, muscle weakness, numbness, or frequent muscle spasms is likely due to some type of nerve compression or impingement. The standard non-surgical treatment recommendation for this type of radiating pain is exercise and stretching. Your limping may be primarily caused by the muscles directly within or near your back area. If these muscles aren’t functioning properly, the muscles in your hips and thighs may have to work harder to compensate. When other muscles are doing more work, you may feel tightness or soreness that’s painful enough to cause you to limp. The right treatment approach for you will depend on factors such as the duration and intensity of the pain and the issue with your spine or its supporting discs that’s triggering the nerve root irritation. If the treatment options mentioned here or other remedies recommended by your doctor aren’t working or the pain becomes debilitating, it may be time to consider minimally invasive back surgery. Just like back pain has many potential sources, there are also many possible treatments. At The Spine Institute Center for Spinal Restoration, we specialize in a wide array of spinal fusion and nonfusion procedures, including spinal stimulation and transforaminal interbody fusion. Beverly Hills patients who want to find relief for their back pain should call 310-828-7757 today to schedule an in-person evaluation.